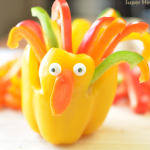 Playland Boy’s 6 Favorite Kid Friendly Thanksgiving Snacks! Playland Boy is Camp Playland’s superhero mascot. 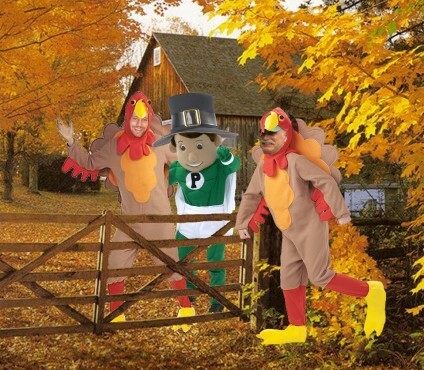 Thanksgiving is Playland Boy’s favorite holiday! He loves spending time with family, watching football, going for walks while the pie is in the oven, and eating delicious Thanksgiving food. Edible Acorns. 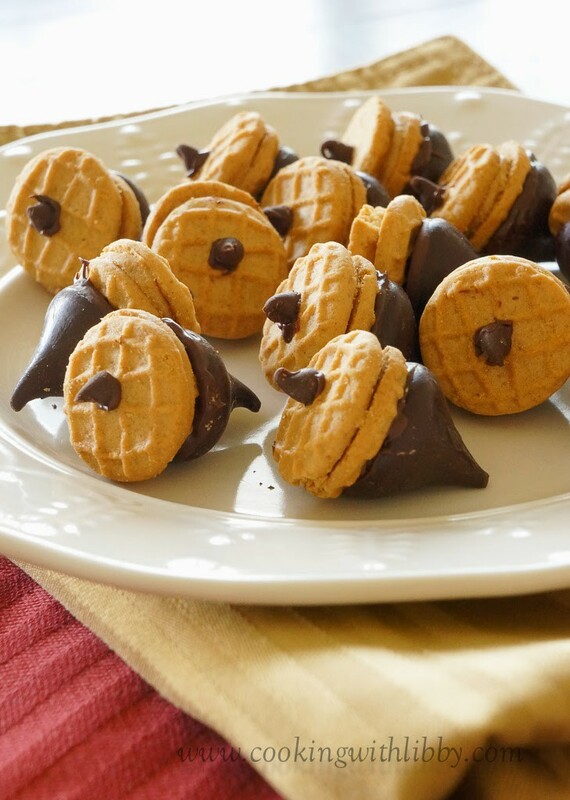 If you have a sweet tooth and like peanut butter, this is your treat. Playland Boy likes to have these handy these while cooking Thanksgiving dinner. Find the full recipe here. 2. 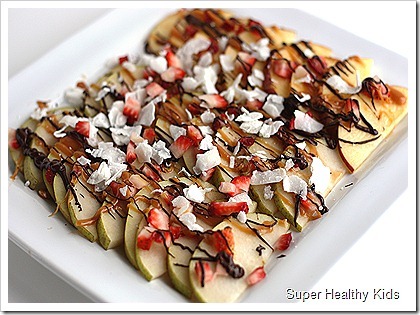 Apple Nachos. Playland Boy loves nachos and this healthy twist on the classic snack is easy to assemble. 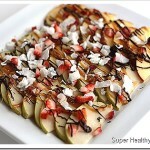 This is great for sharing and a good way to use extra apples from fall apple picking. Full recipe here. 3. Turkey Peppers. 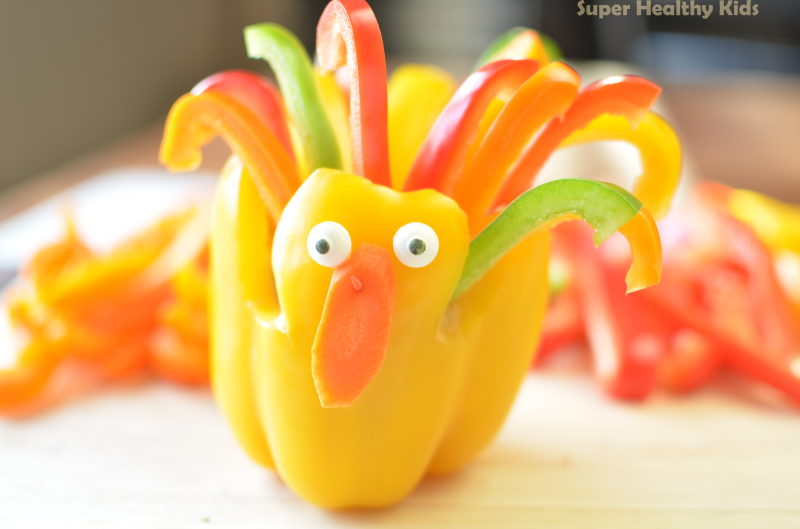 With turkey, mashed potatoes and lots of pie, this healthy snack is a great way to ensure you and your kids are eating your veggies. Fun for the whole family to make! 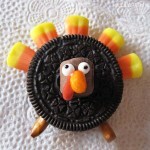 Playland Boy sometimes will put one of these on each plate at his Thanksgiving table. It makes for a colorful decoration. You can find the recipe here. 4. 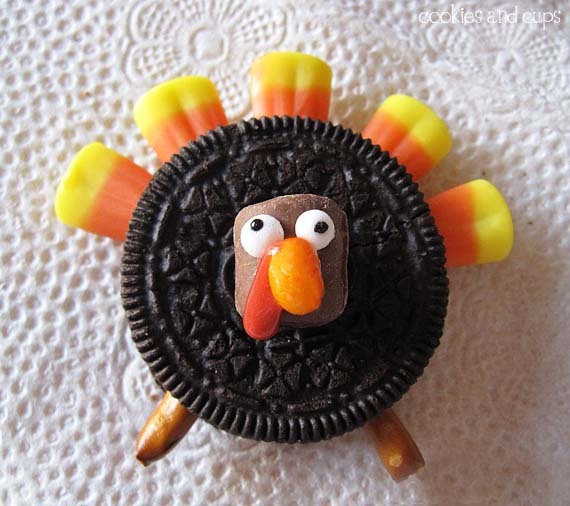 Gobble Gooble Oreos. 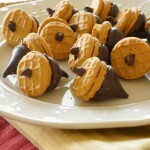 This is a great way to use leftover Halloween candy! They are fun to make and look great. But be careful… it can be difficult to eat just one. Playland Boy says you can put one on a pie as a fun decorative topping! Recipe here. 5. 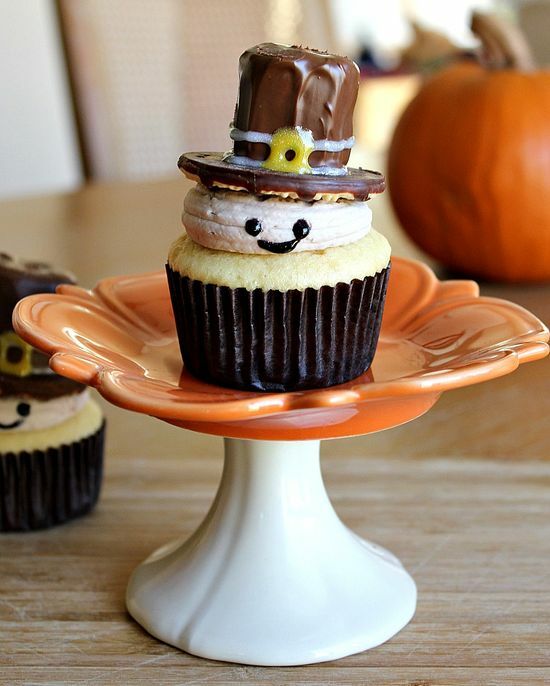 Pilgrim Cupcakes. The picture says 1,000 words. 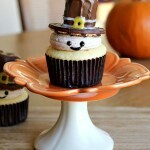 Fun, cute and delicious! Recipe here. 6. Juicy Turkey. 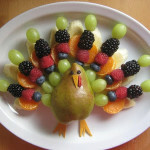 These fruit turkeys are really fun to assemble with a child helper. Remember, cooking with kids is about the process and not the product! 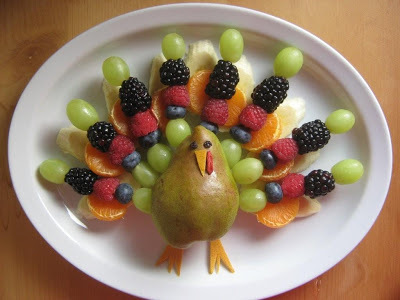 This is definitely the most colorful and juiciest turkey you will ever see. Click here for the recipe.